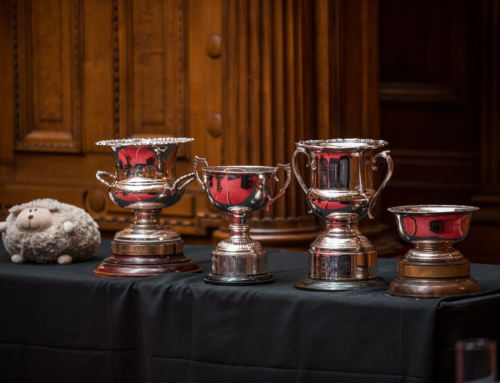 Amy was named the Best Speaker at Nationals 2016 and a member of the NZ Schools’ Debating Team. 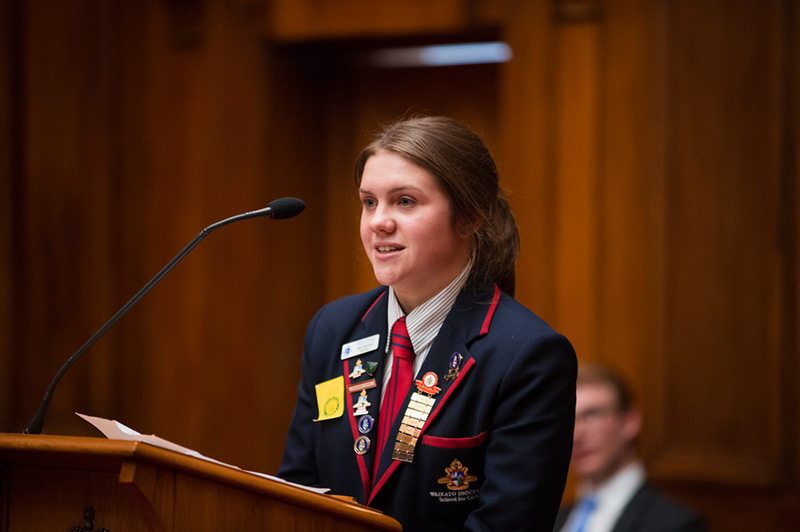 Amy hails from Hamilton where she is in her final year at Waikato Diocesan School for Girls. While attending Waikato Regionals in March this year, Amy was selected as a member of the Waikato Regional team. She considers training for Nationals to be one of the exciting (and anxious) experiences in High School. For eight weeks, she was coached extensively by two university debaters from Auckland, Aditya Vasudevan and Ned Grenfell (two NZSDC alumni). 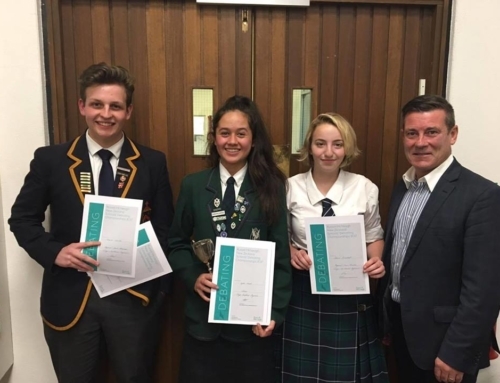 The coaching programme for Nationals involved weekend trainings both in Hamilton and Auckland, where they debated both experienced university debaters and also their Auckland rival teams. Amy considers beating their northern rivals from the city of sails on a motion about hosing policy a highlight of her training. 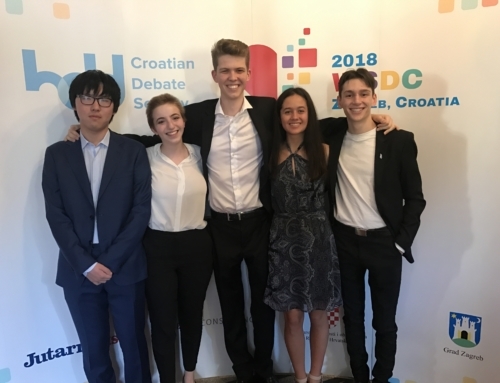 Amy views Worlds as one of the best life experiences she has had and relished the opportunity to compete against the best debaters from the 56 participating nations on a variety of interesting topics. 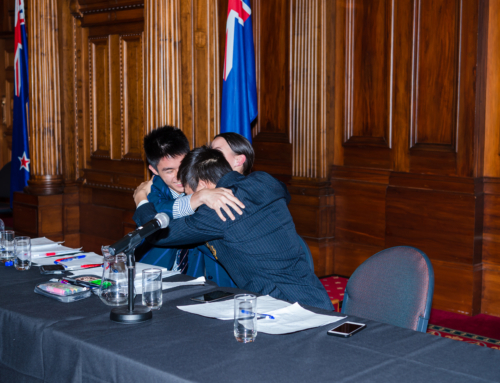 She enjoyed bonding with the other members of the New Zealand team, as well as forging friendships with debaters from all over the world. As for what attracted her to debating, Amy says “I love that debating gives me the opportunity to engage with relevant and topical issues, something that I don’t get to do to the same extent within the confines of traditional school subjects. I like that you are sometimes forced to argue a side that doesn’t align with your personal opinion, so are prompted to reassess your own views and the arguments underpinning them.” She is excited to continue debating at university next year.